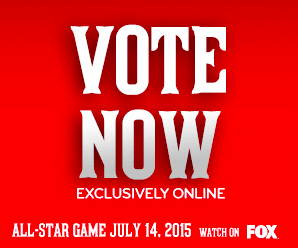 MLB All Star Game voting is underway, and this is the time of the year that in the seventy years prior; you and your family or friends would get the great paper ballot at the game. Nothing that great lasts forever. Baseball has decided it wasn’t proper use of their resources to do that anymore. Balloting is only online now. We took a stab at our first ballot for old times sake today. Spoiler alert: there are personal favorites in here. And why the hell not. Some fan base will send someone who is hitting .245 to the game, so I’m going to vote for my guys.